Pond's Flawless White range is really worth your time and money. I'm not a bigot who thinks being "white" or "fair" is more ideal. I just come from a family that suffers from severe melasma (like a mask, believe me) and heredity can be a pain (not really the word I'm thinking), so I would like to prevent it as much as I possibly can.Though I did get melasma (nose and cheeks) about 6 years ago when I didn't bother much about using sunscreen. Then Tri-luma to the rescue (Will do a separate review on this.) So from then on I thought prevention really is better than cure. Actually, even now I can somewhat see some darkness lurking beneath the surface, maybe just waiting for the chance to rise and reveal its UGLINESS. Well, not while I can still breathe and shop! Niacinamide- Also known as Vitamin B3 prevents the migration from the lower layers of the skin to the upper layers. Vitamin E- A powerful antioxidant, which is effective against UV induced pigmentation. Optics system- Which brightens and evens out the skin. Deep Whitening Facial Foam- A little is enough for a smooth foamy lather. Brightens face. Visible Lightening Daily Lotion- Makes skin smooth and luminous, easily absorbed, good moisturizer under make-up. Also, just because you can't pump it out anymore doesn't mean it's finished. Twist open the pump and you'll be amazed at how much more is still down there. Anti Spot Intensive Whitening Serum- Easily absorbed, silky smooth, extra whitening power. Must-have if you have stubborn dark spots. Perfect Finish 2-way Foundation Powder- Haven't used. There are more special treatment products in this range which are not available in India yet. Hi! Im from Gurgaon and after reading your post, went out to hunt for the Ponds FW mask. but couldn't find any. Where didu get this from? Which is better 'ponds white beauty foam and cream OR 'Pond's flawless white foam and cream??? please help on this !! 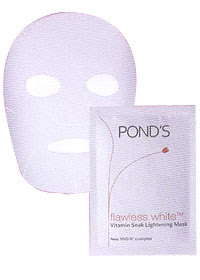 @Kim ~ I like Pond's Flawless White range better. The facial foam is great! Have been using the day cream for a week now and loving the results. What type of skin do u have? Mine is combo oily. I want to try the night cream frm ths range but afraid tht it will break me out. Would love to hear your review on the night cream. i used to used ponds flawless day cram and face foam for over two months in bangalore and saw wonderful results. but now im back home in cochin.Im still continuing to use both the day cream and the face wash now along with the night cream. the results are not as good as before. i have lost the complexion i gained before. What do you think is the problme?? I live in Oklahoma and there is no such thing as Ponds flawless white range here. The products are very expensive online-I was wondering if the products are any cheaper if I buy the whole set(5 products for flawless white) from India. I would really appreciate it if anybody could tell me how much it costs back home. im swathi,can i know the usage of ponds flawless white facial foam,can i be used daily? can u please mention the price of the products?? can u please mention the prices as well....? ?